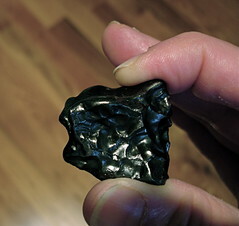 I was very active this morning on Google+ and elsewhere to debunk several myth of the Russian meteorite which entered the atmosphere near Chelyabinsk, including that Russian fighter jets had shot down the meteorite before it hits the ground, or that this is the Asteroid that comes very close to the earth today at 19:45 UTC. It's impressive and spectacular that so many cameras were recording this incident. Many people got hurt by the shock wave. Please remember, at this time I'm writing this post, not everything is clear. But the "raining stone" news on several sources sounds very dramatic. So far it looks like the main piece felt down in a lake, which scientists are now trying to examine. But the thing that gets me most is how many people do not have the tiniest bit of knowledge about our earth or near space. I read a lot of posts blaming science for looking for the Asteroid 2012 DA14 for weeks and not telling or be able to see the one you "hit" us. Such a tiny piece in space simply can't be detected. And it happens a lot, but not over a city, but because the earth surface is 70.8% water, it usually happens over the sea and no one sees it. Yes, this one was big, but we over dramatizing it. No, it's very unlikely this has something to do with 2012 DA14. If this one hits the earth, I promise you, you will know it, no matter where you are. But this won't happen. And the scientist didn't fail on the Russian meteorite. It was just a stone in space, and this can and will happen many more times. And no sensationalist call for a anti-meteorite warning system in Russia will change that. And destroying such little pieces is something for SciFi movies.